Mr. Le Quang Vinh, Vietnam-USA Society shares with those in attendance about their 13 year partnership with IGE to date promoting religious freedom and U.S.-Vietnam people-to-people relations. 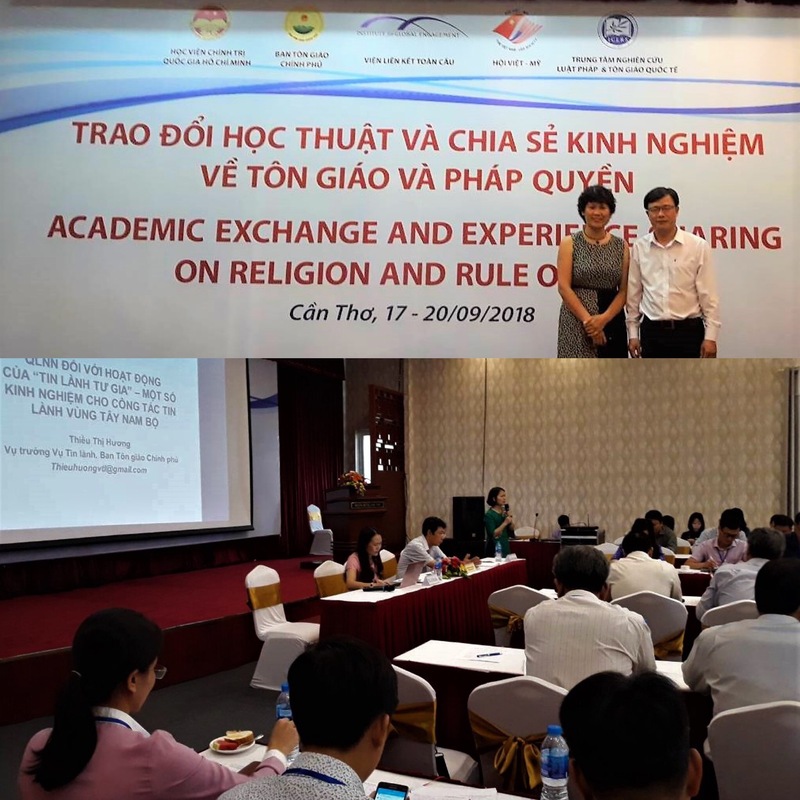 This September, IGE conducted its flagship religious freedom training program in the Mekong Delta region, one of Vietnam’s most religiously diverse regions. The Mekong Delta is home to various religious minority communities including the Hoa Hao, Cao Dai, and Muslims, all of whom have experienced persecution in the past. This was the first time that such a training has been held in the region. There were 130 participants consisting of government officials, faith leaders, and academics from 15 provinces in and surrounding the Mekong Delta. The training covered international standards for religious freedom, constructive models of government-religion relations, and other key topics. The training featured legal scholars from Hungary, Indonesia, Singapore, and the U.S. 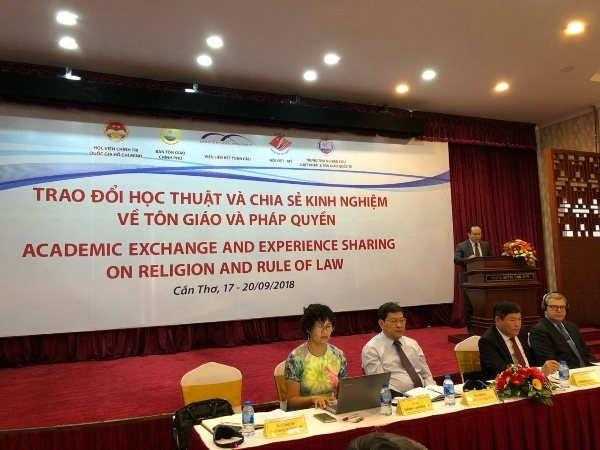 The training was held in partnership with the Institute for Religion and Belief Studies at the Ho Chi Minh National Academy of Politics (NAP) and the International Center for Law & Religion Studies at Brigham Young University Law Center. The NAP is Vietnam’s premier training institution for government officials. Two alumni from previous RROL training programs presented lectures at the 2018 training. Mr. Nguyen Quoc Vu, Director of Department of Religious Affairs of Dong Nai province shared about religious diversity, land issues, lawsuits, and religious conflict management in his province. In order to ensure legal protection of religious freedom, he emphasized the need for local authorities to understand policies, theology, religious practice, as well as cooperation between government and religious groups at local level. Ms. Thieu Thi Huong, Director of Protestant Affairs Department at Governmental Committee on Religious Affairs, spoke about the house church movement and governance in the Southwest (Mekong Delta) region. For additional photos, please see IGE's Facebook page.